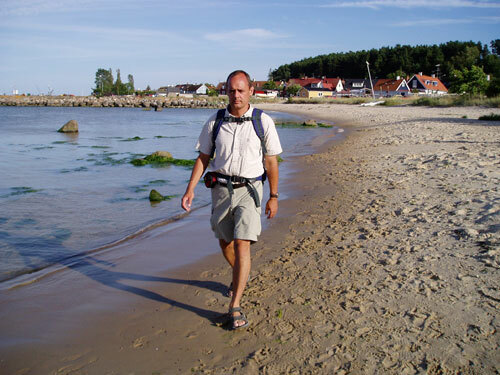 My name is Mats Hagwall, I live in Lund, a university town in the south of Sweden, close to Denmark and Copenhagen. I was born in Stockholm and lived there until in my mid twenties. Some twenty years ago I moved to Lund to study at the university. I met my wife here, the kids came, I got a job, and so I stayed. Today I work as HR Advisor Lund university. It's alright but I wouldn't mind a change so I throw in an application every now and then. Travelling has always been a big part of my life. I started traveling when I was around 16 years old. Every summer I used to travel around Europe on an inter rail pass, most of the time I went to Greece or Spain in pursuit of the sun and the beach. The traveling bug really got to me so I took odd jobs, saved all the money I could and went traveling as soon as I could afford it. I did a world tour in 1985-86 together with a friend. I was particularly influenced by South East Asia and Australia. I have been back to South East Asia many times since then, the last trip was in February 2002 when the whole family went to Bali for a month. I started studying at the University of Lund in 1988. I took East and South East Asian Studies and Bahasa Indonesia. In 1990, I got the opportunity to spend a year at the Universitas Gadjah Mada (U.G.M) in Yogyakarta. That was a very good experience - not only did I achieve fluency in the Indonesian language, but also a thorough understanding of the Indonesian society and its culture. At present I work with personnel development at Lund university. Earlier in life I've also worked as a teacher in the Indonesian language, IT-manager, bus driver, journalist, waiter, clerk, grape-picker, and genitor. If you want to know more about my professional background you should check out my cv. It was during my time in Indonesia that I met my wife Eva. We were there on the same type of scholarship. One thing lead to another and we got married in May 1995. We have two children, one son and one daughter. Jesper was born on January 31, 1996, and Karin was born on the first of November 1997.